Please Note: Wunderlist was acquired by Microsoft in June 2015, and it has been identified that they will be phasing out Wunderlist. Momentum will continue supporting the Wunderlist Todo integration while it is up and running, but it is important to keep in mind that this service may lose support in the future. Before connecting to the Wunderlist integration you'll need a Wunderlist account. If you don't have a Wunderlist account already you can create one for free on Wunderlist's signup page. To connect to Momentum's Wunderlist integration, visit the Todo section of Momentum's Settings ⚙️, click + Add Integration button, select Wunderlist, click Connect and then login to/authorize your Wunderlist account. Once connected, you'll be able to access your Wunderlist tasks and lists in Momentum's Todo. Select Wunderlist and then click Connect. A secure window will open for you to login to/authorize your Wunderlist account. Log in to your existing Wunderlist account's Email Address & Password (or choose to login to a Google, Facebook or Microsoft account). Click Todo at the bottom right corner of Momentum to start managing your Wunderlist tasks and lists within Momentum. If your Wunderlists tasks and lists aren't displaying after connecting, click Todo at the bottom right corner of Momentum to open the Todo menu, click ... at the top right corner of the Todo menu, click the Switch to... option and then select Wunderlist. Pro tip: You can also hold down Shift and then press the ← or → arrow keys on your keyboard while the Todo menu is open, to quickly switch between your Wunderlist integration and any other Todo integrations/sources that you're connected to. You can add, edit, and delete your Wunderlist tasks in the same way that you would your Momentum todo items. To add a new task, click New Todo at the bottom left of the Todo menu, type in your task and then press the enter/return ↵ key on your keyboard. To switch between your Wunderlist lists, click the active List name at the top left of the Todo menu, and then select the list that you want to switch to from the drop-down. The View in Wunderlist option redirects you to Wunderlist's website, so you can take a closer look at and make more detailed changes to your lists and tasks in Wunderlist's native environment. To view a list in Wunderlist, click ... at the top right corner of the Todo menu and then select the View in Wunderlist option. If you've connected to the wrong Wunderlist account, or are stuck setting up the Wunderlist integration, reset your connection by signing out of your Wunderlist account (and/or Google, Facebook or Microsoft account) and then reconnect to Momentum's Wunderlist integration. Click on your avatar (or initials) at the top left corner. Select Sign Out from the dropdown menu. Note: If you're using a Google, Facebook or Microsoft account to log in to Wunderlist, make sure to Sign out of those accounts as well. Otherwise, you might automatically log in to the incorrect Wunderlist account when you reconnect to Momentum's Wunderlist integration. Hover your mouse cursor over the Wunderlist option in the Integrations section and then click Disconnect. Select the Wunderlist option and then click Connect. A secure window should now appear and give you the option to log in to your preferred account. 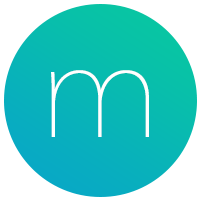 If you still have problems connecting to Momentum's Wunderlist integration, please reach out to us at help@momentumdash.com. Make sure to provide a description (bonus points for a screenshot or recording) of where you are stuck.